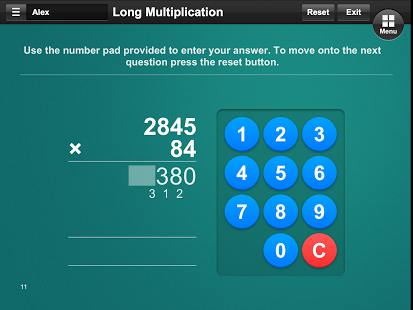 Multiplication is a clearly structured app that can help students improve their knowledge and understanding of multiplication. 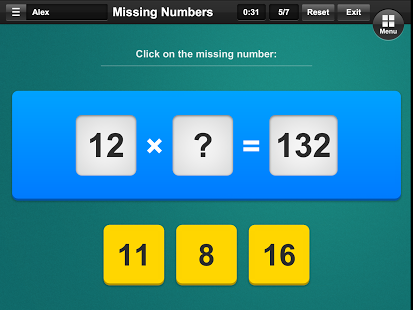 This brightly coloured and simple to navigate app covers a wide range of multiplication skills, including times tables to 12, long multiplication and multiplying by powers of ten. 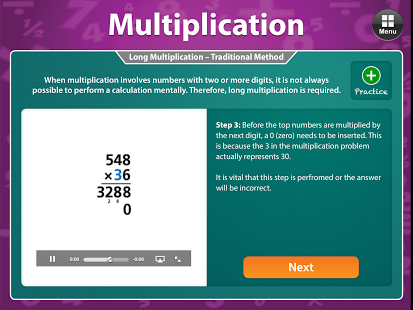 It includes step-by-step presentations, an interactive multiplication chart, times tables, long multiplication tests and a missing number activity to assess children’s knowledge and understanding of multiplication. It is suitable for use with Key Stages 1 and 2. 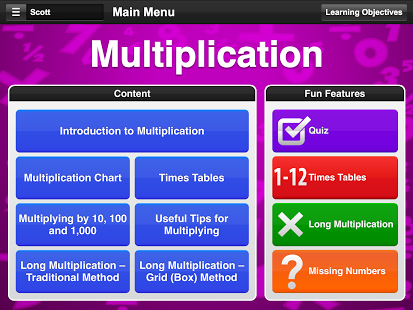 This fun and interactive app is packed full of engaging educational content and stimulating assessment activities!Our fantastic Multiplication app won Best Educational App at the 2014 Bett Awards! 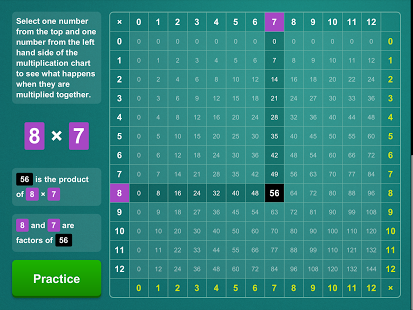 The award-winning app covers a wide range of multiplication skills, including times tables to 12, long multiplication and multiplying by powers of ten. 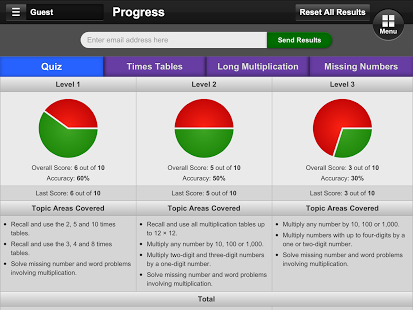 It includes step by step presentations, an interactive multiplication chart, times tables, long multiplication tests and a missing number activity.